Stem cells are probably the most-discussed — and least understood — potential therapeutics biotechnology offers. Headlines in mainstream media tout their potential benefits and decry their ethical complications. Time magazine featured stem cells on its cover one week in February (1), and an ABC network drama depicted criminals selling stolen cord blood stem cells to the rich and vain as a high-end cosmetic treatment (2). It’s a safe bet that most nonscientists don’t know the difference between embryonic stem cells, so-called adult stem cells, induced pluripotent stem cells, and so forth. It’s another safe bet that most of those same people have an opinion anyway, pro or con, about the use of stem cells in research. Thus, the politics of stem cells, particularly in the United States, have had more of an effect on their use than the related science or technology. President Obama’s recent reversal of the Bush-era ban on new embryonic stem cell lines caused simultaneous celebration and backlash as some states began crafting legislation to ban embryonic stem cell research within their borders while others reconsidered funding such research themselves. Creating another kind of ethical dilemma, Internet sites are offering stem cell treatments, often obtainable only in underdeveloped countries, for true believers whose situations make “waiting on the science” difficult or impossible (3,4). Such “medical tourism” treatments are not subject to the rigorous testing and documentation that most developed nations require of medical products before they can be used in humans. In January, the US FDA gave the go-ahead for the first-ever clinical trial in humans of a human embryonic stem cell therapy to Geron Corp (www.geron.com), a biotech company based in Menlo Park, CA. The phase 1 trial will test the safety of Geron’s treatment for patients with spinal cord injuries. But this study has been criticized by some scientists who fear it might not be the “right” therapy for a first trial and thus could cause even more skepticism among the public if problems arise. Progress in the stem-cell field has continued worldwide despite politics to the contrary. In March, two studies were published describing how researchers had transformed skin cells into induced pluripotent stem cells (IPS) without using viral vectors that may cause cancer or be rejected by the recipient’s immune system. IPS cells seem to have the same ability as embryonic stem cells to become any type of cell, but they are more acceptable to some people because obtaining them does not require the destruction of human embryos. In fact, IPS cells represent perhaps the ultimate in personalized medicine because the cells from which these therapeutic stem cells are made come from each patient’s own body — skin, in most cases thus far. In one of the IPS studies, a DNA sequence (a transposon) was used as the vehicle for getting stem cells into the diseased cells. The other study involved engineered viruses that were removed once they had delivered stem cells to their destination (5,6). Tell us a bit about yourself and your background. I work at UCL, where I am a cancer researcher and have been experimenting with human cells in the lab for 40 years. What instrumentation do you use for DNA profiling? Are there (current or upcoming) technological advances there that will be relevant to QC testing? DNA profiling is done as a commercial service by forensic laboratories using ABI sequencing apparatus. A standard is being developed to require DNA profiling as part of QC for all use of human cell lines. Skin cells were proven to have pluripotent potential by a Japanese researcher, Shinya Yamanaka of Kyoto University, in 2007. An American team soon made the same discovery in a separate, unrelated study, providing a new and ethically unchallenged focus for stem cell research (7). Although IPS cells hold great promise, however, many researchers doubt they can offer the unlimited potential of embryonic stem cells — and thus prefer to see research continue in both directions. Currently, the only approved stem cell treatments anywhere have come not from embryonic stem cells, but from umbilical cord blood stem cells and multipotent adult stem cells. Such adult stem cells are routinely used in bone marrow transplants for patients with leukemia, certain other cancers, and some blood disorders. A less invasive procedure with similar uses is peripheral blood stem cell transplant, which uses drawn blood. Peripheral blood stem cells are few in number, however, so they are time-consuming to collect. One particularly contentious item among the many stem-cell–related concerns and questions is the potential for creating a human embryo only to then destroy it for research — or perhaps worse, commercial purposes. Many editorials have been published decrying the possibility. But before labeling such a procedure “playing God” or “immoral,” imagine this scenario from a New York Times editorial (8): Scientists believe that one way to obtain the matched cells needed to study diseases is to use a cell from an adult afflicted with that disease to create a genetically matched embryo and then extract its stem cells. This approach — known as somatic cell nuclear transfer — is difficult, and no one has yet done it, but it does provide food for thought. Meanwhile, researchers continue to amass more and more knowledge about stem cells and how they differentiate to become the specialized cells that make up a whole body. The communication pathway that instructs stem cells to become blood cells has been identified. Not only is such information scientifically interesting, but it may lead to a new way to make blood from human stem cells for clinical applications including leukemia or other cancer treatments. For example, researchers at Hubrecht Institute-KNAW and University Medical Center Utrecht, The Netherlands, have identified how stem cells become differentiated as intestinal cells, which could lead to a treatment for colon cancer. The researchers found evidence that a transcription factor called Achaete scute-like 2 (Ascl2) switches on the stem cell program in intestinal cells (9). Working with mice, Robarts Research Institute scientists at the University of Western Ontario isolated three types of blood marrow stem cells that work together to form new blood vessels. Their research has the potential to treat advanced diabetic patients whose limbs might otherwise have to be amputated (10). Dr. Raisman’s team has transplanted cultured adult olfactory ensheathing cells into lesions of intraspinal long tracts and spinal root avulsions in adult rats. The grafted cells encourage the growth of the cut nerve fibres and suppress the excessive neuromatous branching found in untreated lesions. Grafted cells take up an elongated shape and form a tightly aligned bridge between the ends of the cut fiber tract. The regenerating nerve fibers enter the graft and follow this new, aligned bridge pathway. Within the bridge, the nerve fibers are intimately ensheathed by Schwann-like cells and enclosed in an outer, perineurial-like sheath of fibroblasts. In spinal tracts, once they reach the end of the graft they reenter the host spinal cord and continue along the distal part of the corticospinal tract to form terminal arborizations. The effect is to put a patch over the lesion, restoring the integrity of the original pathway, and this results in the functional recovery of some specific tasks. In the case of the dorsal roots, the fibers reenter the spinal cord, arborize in the dorsal horn, and ascend in the forsal columns. In the case of the ventral roots, there is a four- to fivefold increase in the numbers of fibers entering the proximal part of the root. How did anyone “happen” to discover that OECs had regeneration-producing properties to begin with? I discovered olfactory ensheathing cells in 1985 in electron micrographs of the mouse accessory olfactory system. The reason for looking at this system is that it is the only part of the nervous system that retains the power to replace itself and regenerate after injury throughout adult life in all animals and humans. The effect, you wrote, “results in functional recovery of some specific tasks.” How extensive is that effect, as a ratio of restored function to lost function? It depends on how important the function is. In the rat, we can restore the ability of the forepaw to retrieve food. Translated to a human situation, restoring such hand function would be an immense step forward for paralyzed people. We could not expect to restore a concert pianist to his/her former level. This process is being performed using rats. How long is it likely to take before such procedures will be tested in humans? What is the biggest challenge standing in the way? If funds were available, I think we could achieve human application in less than five years. Funds are not available, and even those funds that are around are concentrated lavishly in the hands of a few dominant projects that operate through the peer review system as vested interests to control funding sources and exclude others. It is rightly said that original research has, by definition, no peers. But it certainly has competitors. Society gives this work no priority if you compare with the spending on destruction (called “defense”). One smart bomb would probably pay for all the research being done in the world on spinal injury. Two would be overkill. That senior scientists must spend 80% of their time finding and managing funds is a major loss of talent for research, and the detrimental cost of this is beyond calculation, apart from discouraging young people with new ideas from getting into the field and replacing them with those who are followers. China is hoping to expand its stake in the increasingly competitive arena of stem cell therapies, where it has few of the regulatory controls and controversies that have constrained research elsewhere. To that end, the country announced in April that it will build Asia’s biggest base to develop uses for stem cell medical technology. The project was launched in eastern Jiangsu province, which is home to a number of medical and pharmaceutical businesses. It will include more than 20,000 M2, including a clinic (11). Interestingly, Iran is also making strides in stem cell research. According to The Scientist NewsBlog, Iran was the 10th country to isolate human ESCs in 2003 and the fifth to reprogram human skin cells to create induced pluripotent stem cells in 2008. In 2004 Iranian scientists coaxed human ESCs to become mature, insulin-producing cells; and in 2006, they conducted the world’s first human ESC proteomics study. Most of those studies were at the Royan Institute in Tehran, Iran’s leading stem cell research center, which was originally established as a fertility clinic in 1991. Since 1998, it has done research in stem cells, embryology, genetics, epidemilogy, gynecology, and andrology. The Iranian government enthusiastically supports stem cell research but lacks a federal funding agency such as the US National Institutes of Health or National Science Foundation, so funding is spotty and inconsistent (12). As stated by Tom Kirkwood, “Aging is the best known but least understood aspect of human biology and the second curiosity is its intrinsic complexity.” Furthermore — and different from laboratory animals such as mice and C. elegans that are frequently used for studying aging phenomena and mechanisms — intrinsic aging is difficult to differentiate from extrinsically induced changes, a situation particularly obvious for human skin. When it was demonstrated that the ends of the chromosomes (the telomeres) shorten in a replication-dependent manner, and that critically short telomeres lose their protective function and cause genomic instability (a hallmark of cancerous cells), telomere shortening was proposed as a molecular clock, the counting mechanism of cellular aging. To address the role of telomere erosion in human skin aging, we investigated human epidermal keratinocytes and dermal fibroblasts for their telomere and telomerase regulation in vivo — the skin in situ — and in culture in vitro. These studies demonstrated that the constantly regenerating keratinocytes express telomerase activity in vivo and in agreement show an only minimal age-dependent telomere loss. In conventional cultures, on the other hand, telomerase activity was lost in a histone-deacetylation-dependent manner, and the keratinocytes now exhibit a substantial loss of telomeric sequences with each replication cycle. Interestingly, fibroblasts exhibit the same profile with little loss in vivo but substantial loss in vitro. Although different from the keratinocytes, fibroblasts are telomerase-negative also in vivo, so their lack in telomere erosion must be attributed to their rare proliferation. Because neither keratinocytes nor fibroblasts suffer from a substantial telomere loss in vivo, we have to conclude that human skin aging is not a telomere-driven process. Instead we propose that changes in the stroma (the matrix and the dermal fibroblasts) that support the epidermal regeneration and guarantee the epidermal stem cell niche are of utmost importance for intrinsic as well as extrinsically induced skin aging. Dr. Boukamp, where do you work? What is your area of specialization and your academic background? How long have you worked in biotech, and what first interested you in the field? I work at the German Cancer Research Center, as the head of the division of genetics of skin carcinogenesis. I am working on skin cancer, telomerase, telomeres, normal skin differentiation, and epidermal stem cells. Do your results indicate that the aging process may be different for different types of tissues — as well as different species? I cannot exclude this at present. Aging is intrinsic and extrinsic, and depending on the tissue, one or the other may take over. I am sure that differences for species exist: For example, for humans it is postulated that telomere erosion may contribute to aging. Mice have a short life span but long telomeres. So telomeres are not as crucial to them. Your abstract suggests that the genetic instability that comes from telomere erosion leads to cancerous cells. Does this mean that cancer is an inevitable part of the aging process? Telomere erosion can lead to chromosomal instability, and we may have evidence that this is what happens for some skin carcinomas. However, we do not yet know whether all telomeres indeed shorten and therefore not everyone gets cancer. However, it increases the probability, as it is suggested for cancer. Tissue engineering involves using bioengineering techniques along with physical, chemical, and biological processes to control, direct, improve, or replace biological functions in aggregate cells (tissues). The term tissue engineering was coined in 1985, and scientists have since gained significant understanding of the structure–function relationships in living organisms, leading to development of first-generation tissue-engineered medical products. Examples include using living fibroblasts in skin replacement or repair an cartilage repaired with living chondrocytes. Fundamental unsolved questions remain about these structure–function relationships, which scientists continue to study. Among the current work involving tissue engineering are attempts at building types of scaffolding on which stem cells could grow into replacement tissue or even entire organs. One problem associated with using stem cells productively is that once cells aggregate into more complex systems, it is difficult to get nutrients to the interior of the tissue structure. A team at Stanford’s School of Medicine has developed a technique to provide stem cells with both a consistent supply of nutrients and a preformed cellular framework (12). Working with rats, the team removed a microcirculatory bed and kept the remaining tissue alive using a modified bioreactor. They were able to successfully implant the tissue into a second, genetically identical rat up to 24 hours later. In later experiments, the team added multipotent stem cells from bone marrow and fat tissue to the nutrients being circulated by the bioreactor. The stem cells were able to migrate out of the vascular spaces and into the surrounding tissue, where they began to form colonies, which thrived even eight weeks after reimplantation. The team hopes to use this technique to deliver blood-clotting components Factors VII and IX to hemophilia patients. Meanwhile, a student at MIT has developed another type of scaffold that can help regenerate tissue and may one day be used for spinal cord injuries, severe burns, nerve defects, and other chronic wounds. It is called a protein printboard, and its inventor, Asad Moten, hopes it may lead to methods for engineering transplantable organs (13). As the potential for stem cells and tissue engineering grows, regulation inevitably comes into play. The European Health Ministry passed its regulation on advanced therapy medicinal products (ATMPs), including tissue engineering, in 2007. In the United States, the FDA’s Center for Biologics Evaluation and Research regulates human cells or tissues intended for implantation, transplantation, infusion, or transfer into a human recipient. Session Two: Session chairs are John Masters and Nicole Borth. Session Three: Martin Clynes is the session chair. 1.) Park, A 2009. How the Coming Revolution in Stem Cells Could Save Your Life, Time. 2.) Eternal. Eleventh Hour, Season One, Episode 12. 3.) O’Reilly, K 2009. Guidelines Target Stem Cell Medical Tourism, amednews.com. 5.) Kaplan, K 2009. 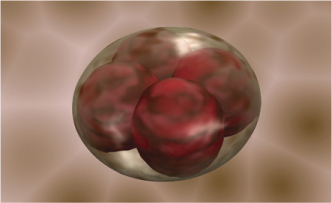 Scientists Create Stem Cells Purged of Carcinogens Used in Process, Los Angeles Times. 6.) Johnson, CY 2009.Cambridge Team Reports Safer Stem Cell Technique, Boston Globe. 7.) Wilmut, I, Shinya Yamanaka, and James Thompson, Time/CNN. 8.) 2009.Editorial: The Rules on Stem Cells, The New York Times. 9.) Cell Press (2009, March 5) The Making of an Intestinal Stem Cell, ScienceDaily. 10.) Miner, J 2009. Researchers Use Bone Marrow Stem Cells to Form New Blood Vessels, London Free Press. 11.) Buckley, C, and N Macfie China Looks to Expand Stake In Stem Cell Technology. 12.) Conger, K 2009.New Bioscaffold Technique May Help Stem Cells Build Solid Organs, Stanford Report. 13.) Trafton, A 2009.Student’s Invention Holds Promise for Engineering Tissues and Organs, MIT News. 14.) Benz, K, and J Mollenhauer. 2008. Quality Assessment in 3D Cultures of Disc-Chondrocytes: Optosensoric Online Monitoring of Oxygen and pH Kinetics. BioProcess Int. 6:54-59. 15.) Fitzpatrick, I 2008. Cellular Therapy Success Through Integrated Automation: Anticipating Scale-Up of Vaccines and Other Live Cellular Products. BioProcess Int. 6:32-37. 16.) Hampson, B, J Rowley, and N Ventury. 2008. Manufacturing Patient-Specific Cell Therapy Products: An Overview and Case Study of Tissue Repair Cell Technology. BioProcess Int. 6:60-72. 17.) Rosin, L, and RL Buckler. 2008. Sharing Is What It’s All About: Biotech Pioneers Can Help Cell and Gene Therapy Entrepreneurs. BioProcess Int. 6:88.